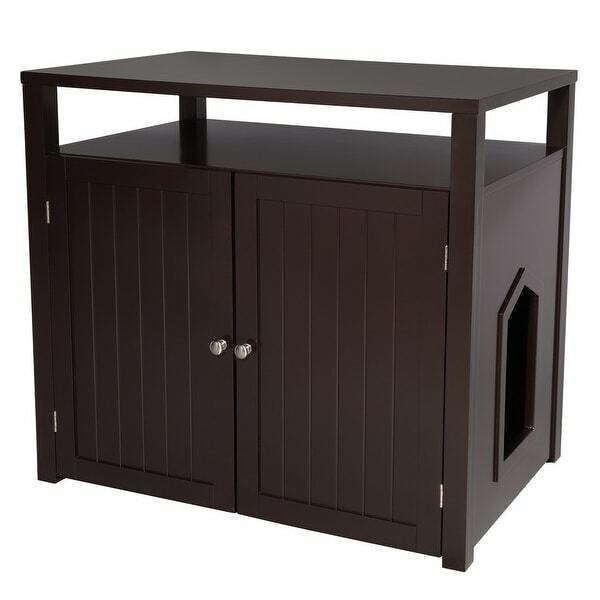 Perfect for hiding the litter box all while having a side table for the couch (or wherever you decide to put it). Difficult to put together. Holes didn't line up perfectly. Easy to damage during construction. "What are the exterior and interior dimensions?" "What are the exterior dimensions of this table?" "Is the item the same color as the photos you have attached?"